I have a donut problem. 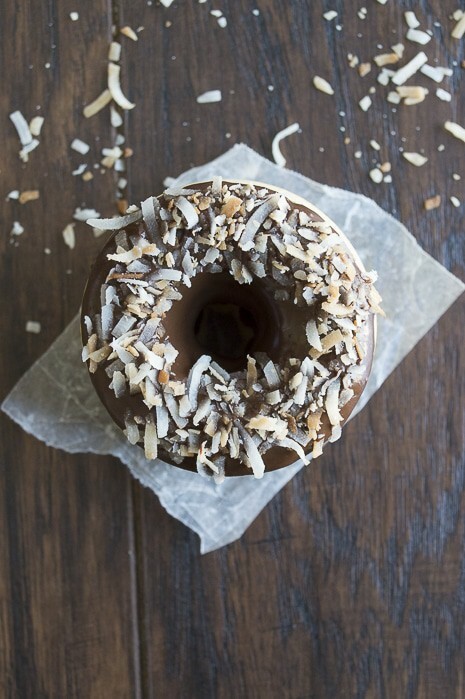 A coconut donut topped with chocolate ganache and toasted coconut problem. I had been eyeing donut pans for several months. What took me so long to take the plunge? I’ve already made 4 different kinds of donuts. I’ve been sharing some sneak peeks on Instagram. 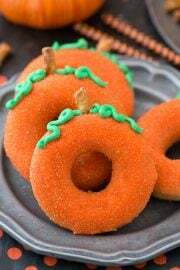 A donut pan is actually a FANTASTIC kitchen gadget for someone with a gluten allergy. Now I can be like everyone else and enjoy a donut. I am fully using the excuse that I couldn’t eat donuts for years to make up for lost donut time. Combine the flour, sugar, baking powder and salt, set aside. Combine the coconut milk, egg, coconut extract, butter and oil in a second bowl. Combine the dry ingredients into the wet ingredients, stir until just combined. Bake the donuts for 10 minutes, or until a toothpick comes out clean. 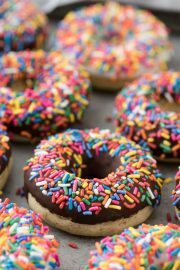 Remove from the oven and let the donuts sit in the pan for 5 minutes before moving to a wire rack. Combine the chocolate and oil in a shallow microwave safe bowl and microwave on 60% power, stirring every 30 seconds for about 2 minutes. You do not want the chocolate to be too runny. 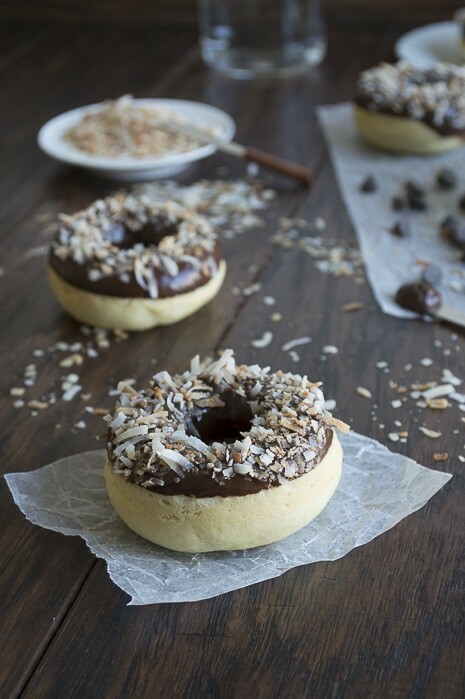 Let the chocolate sit for a few minutes so it can thicken before you dip the donuts into the chocolate. 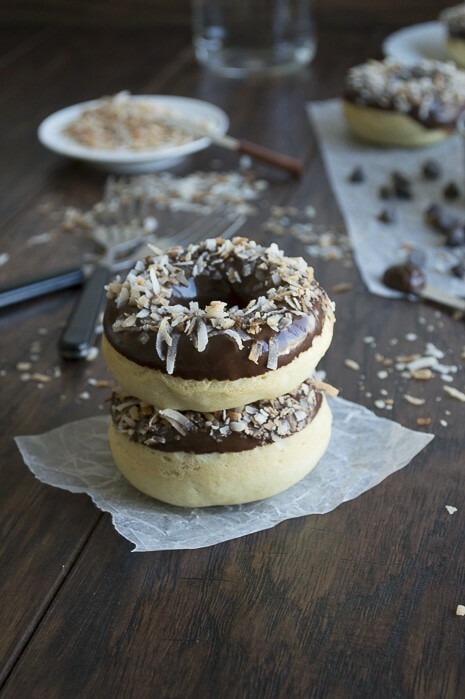 Dip each donut into the chocolate, allowing the excess to fall off. 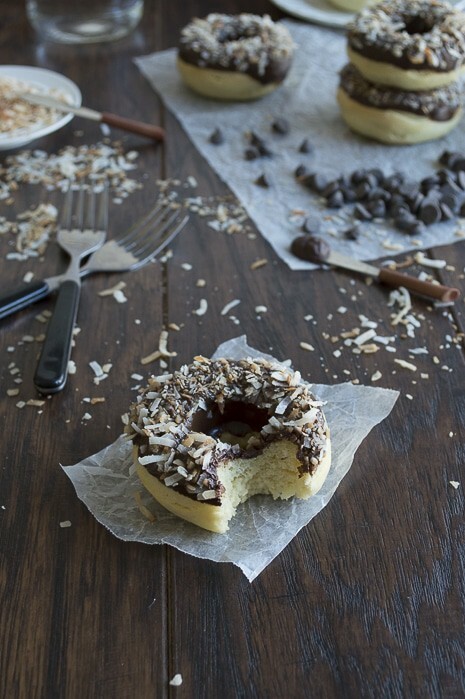 Let the chocolate covered donuts sit for 3-4 minutes before dipping them into the coconut. Place the shredded coconut on a baking sheet, bake at 325 degrees F for 4-6 minutes, stirring to prevent burning. Coconut can burn easily, so keep an eye on it. Remove the pan from the oven, let it cool for 5 minutes. Use your fingers to break the coconut into smaller pieces. 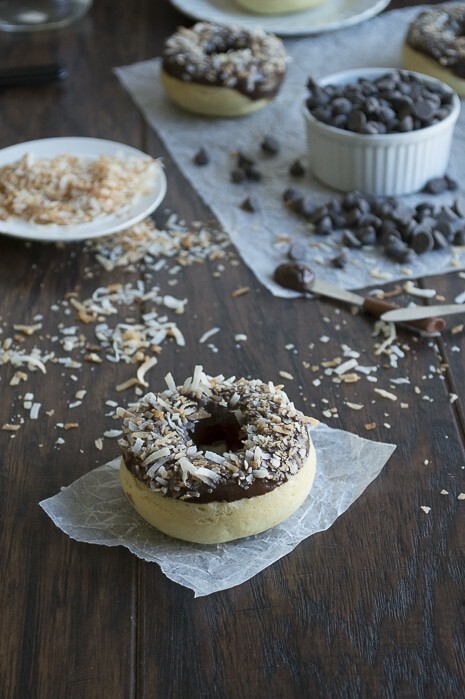 Have the coconut ready ahead of time so the chocolate doesn’t completely set before dipping the donuts into a bowl with the toasted coconut. I’m drooling over these, Beth! :) We try to eat grain-free most of the time, but when it comes to sweets gluten-free is fine with me! Have a great weekend! Thanks for coming by Ronda! 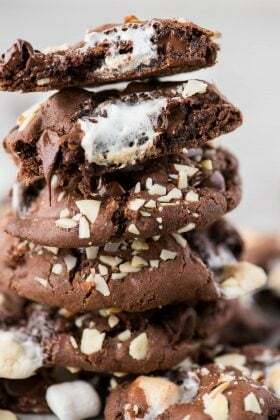 I’m supposed to be giving up sugar – these have changed my mind! Yum! 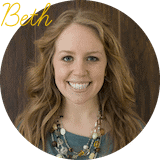 Beth, your photos just keep getting better and better. 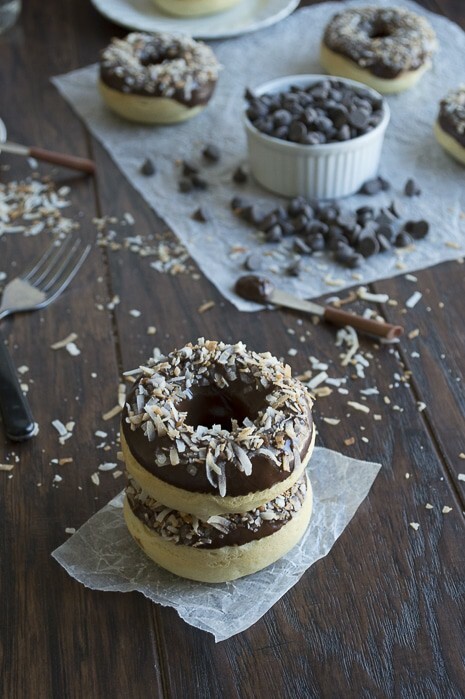 These donuts look outta this world delicious…and that’s coming from somebody who doesn’t really like cake donuts. Pinning immediately. Jelli! That means a lot coming from you! I’ve been working hard, so it’s great to know that someone is noticing! Haha.. maybe just make 1 donut?! 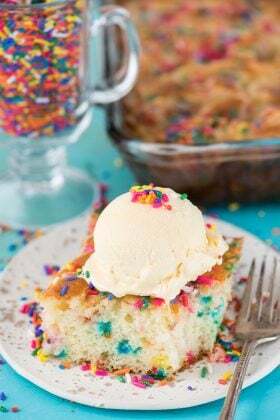 Thanks for pinning our recipe Marcie! I finally took the plunge and bought a donut pan too. I love it! 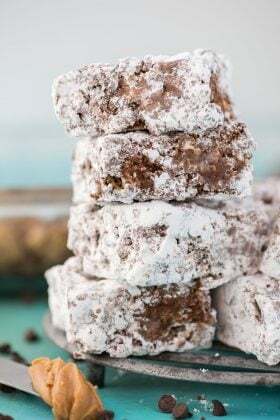 This recipe looks dangerous, though…one of my absolute favorite combinations is chocolate and coconut. Pinned! What gorgeous results! I’d like to try these as mini donuts! You should buy yourself one :-) !!! I say YES! You would just get a lot more donuts! We’re happy to have you following along! Thanks Beth for sharing these fantastic donuts with us at MM! Oh my, I’ll take two! Pinning! PS – you are from MN right? I’m in the SE area (Rochester), Hope to see you tomorrow night at MM! Oh my gosh! I am meeting some many great bloggers from Minnesota! It’s a bummer I now live in Illinois! 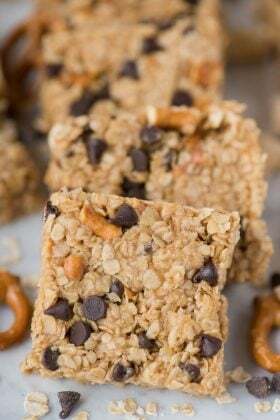 These look absolutely delicious, Beth!